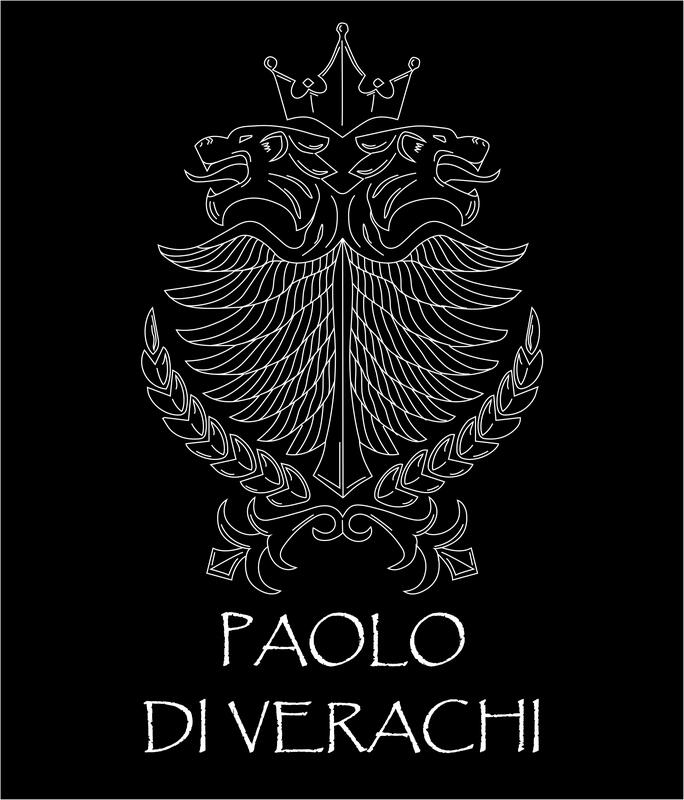 – Brand architect and luxory brand designer. – 30 years as CEO an executive in comercial areas, mainly in consumer high end products. – Sales and key account management. – Trade marketing strategies developer. – Highly expericed designer and consultant. – International recognized speaker and trainer. 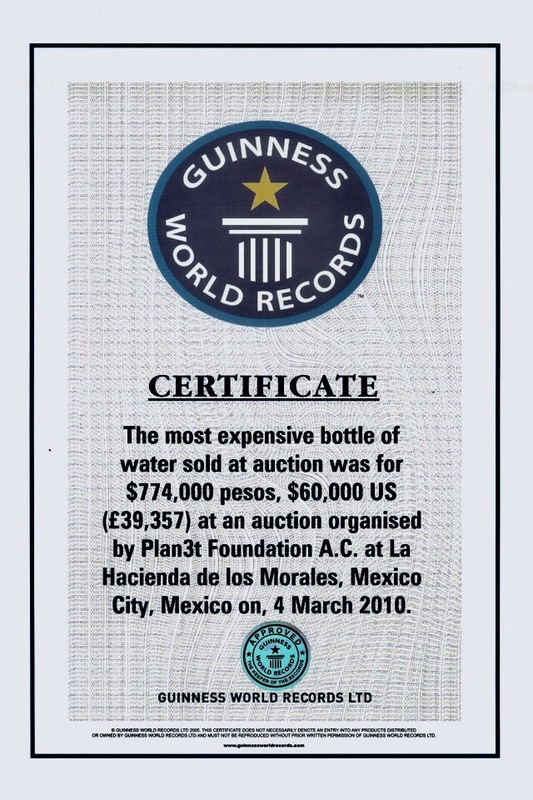 – 3 Guinness World Records, as recognition of his unique and high end work. 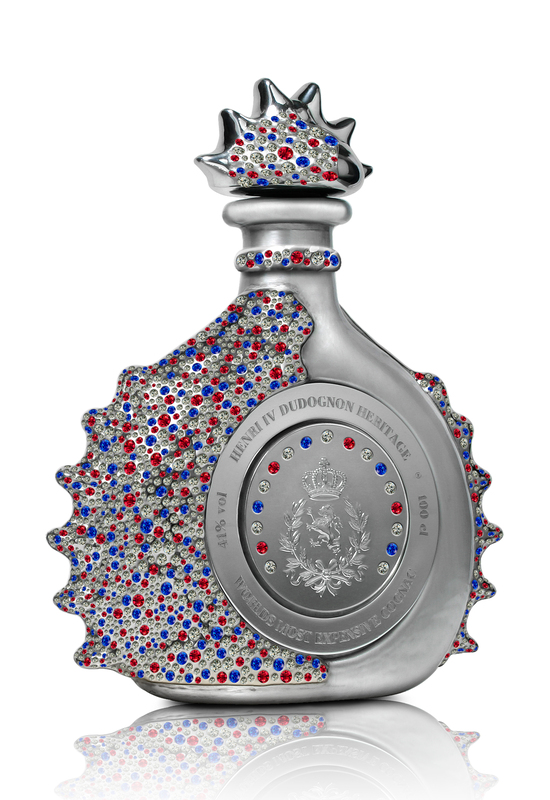 – DNA of Cognac Henri IV Dudognon Heritage, World´s Most Expensive Cognac Bottle. – DNA of Henri IV Dudognon, World´s Most Expensive Cognac Miniature Bottle 5cl. 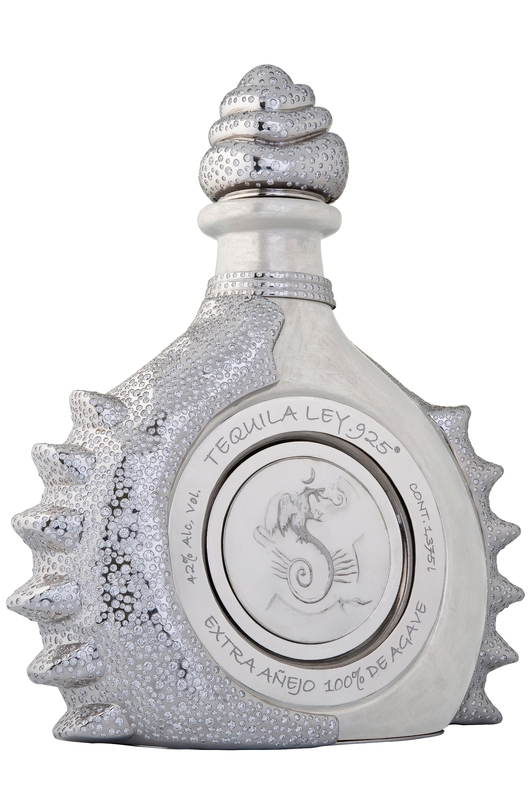 – Tequila Ley .925, Diamond Sterling, World´s Most Expensive Tequila Bottle. – Acqua di Cristallo, World´s Most Expensive Water Bottle. 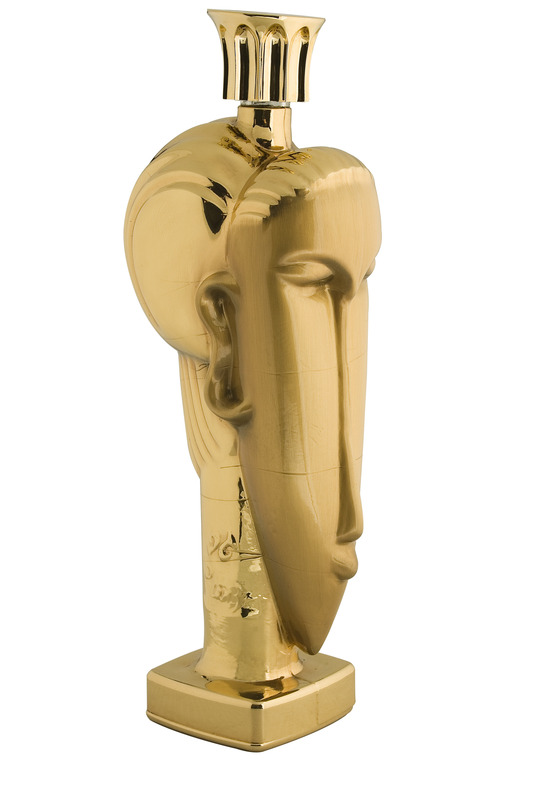 – Tributo Ad Amedeo Modigliani, World´s Most Expensive Perfume Bottle. 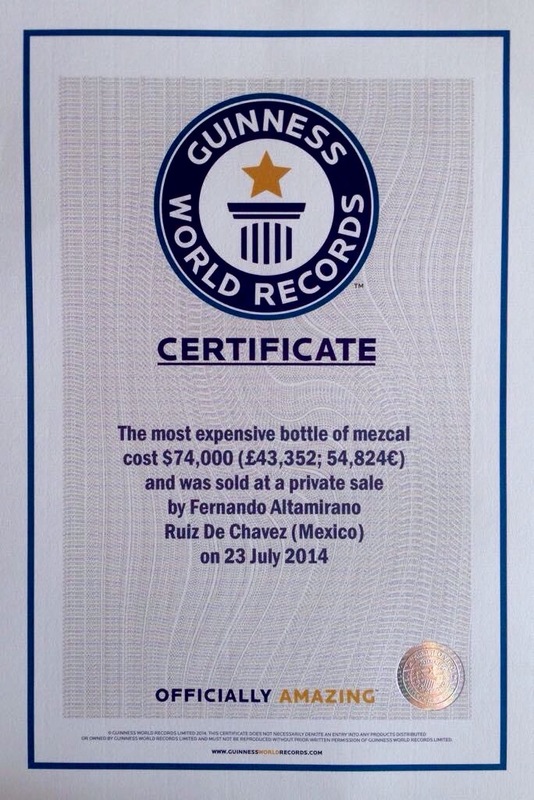 – Black Mezcal Meshico, World´s Most Expensive Mezcal bottle. – Tequila & Gourmet Salt, Meshico. – Constanza Patron, World´s Most Expensive Belt. (Fashion). 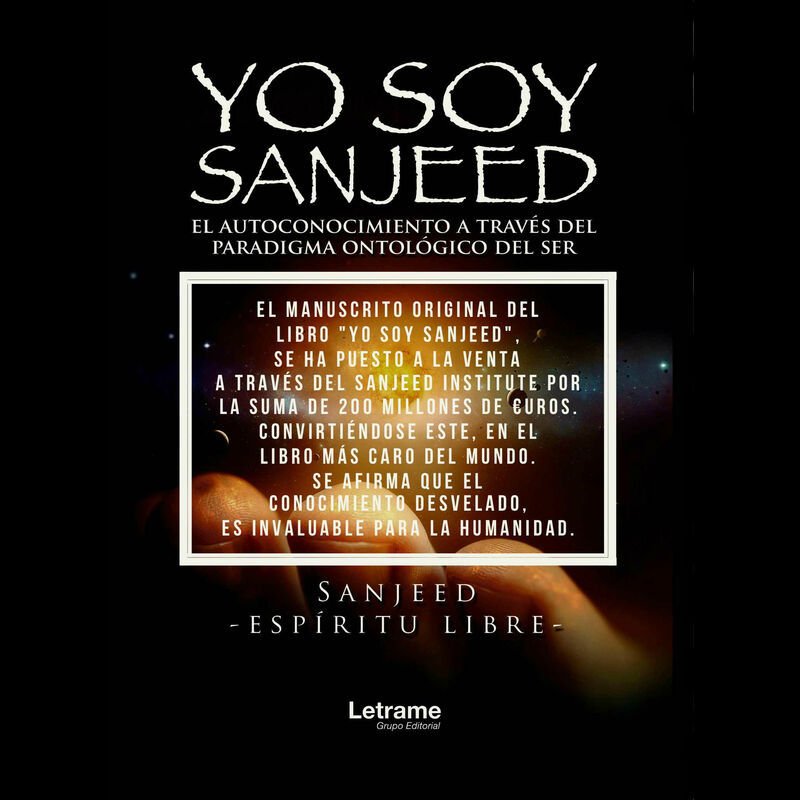 – As a writer, the manuscript of his literary work “Yo Soy Sanjeed” is the most expensive book of all, is for sale on 200,000,000 Euros. Choosen by some of the world´s most successful enterpreneurs and enterprises to re think their sales strategies and completely re frame and re conceptualize brands that can´t afford to fail. Mastering exacting standards to focus on elevating the message, the image, and the emotional conecnectivity of a business to communicate deeper, sell more, and become an iconic, cherised and well remembered as a brand. Princess Diana, Andy Warhol, Michael Jackson and Dubai City. This Cognac bottle it has been called “DNA of Cognac, the essence of the water of life…”. 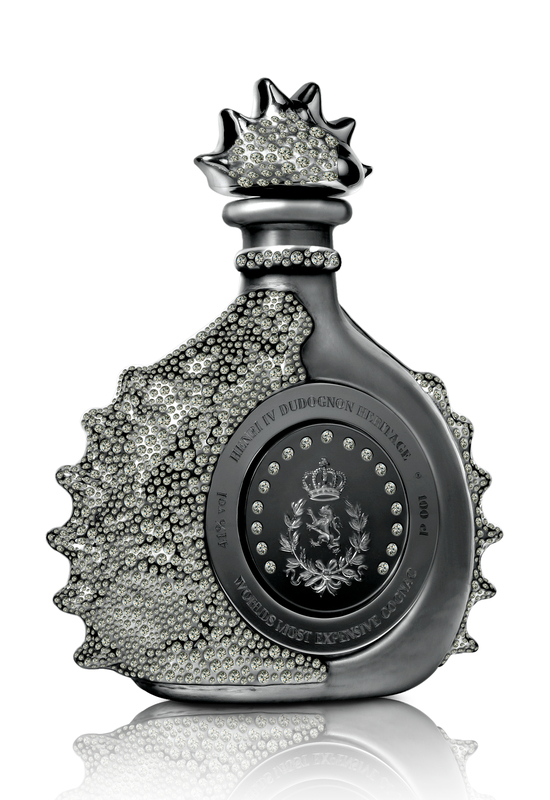 Known as the most expensive in the world, it´s filled with 100 cl. aged in barrels for more than 100 years to produce an alcohol content of 41%. is the brain behind the world’s most expensive liqueur bottles since 1996. 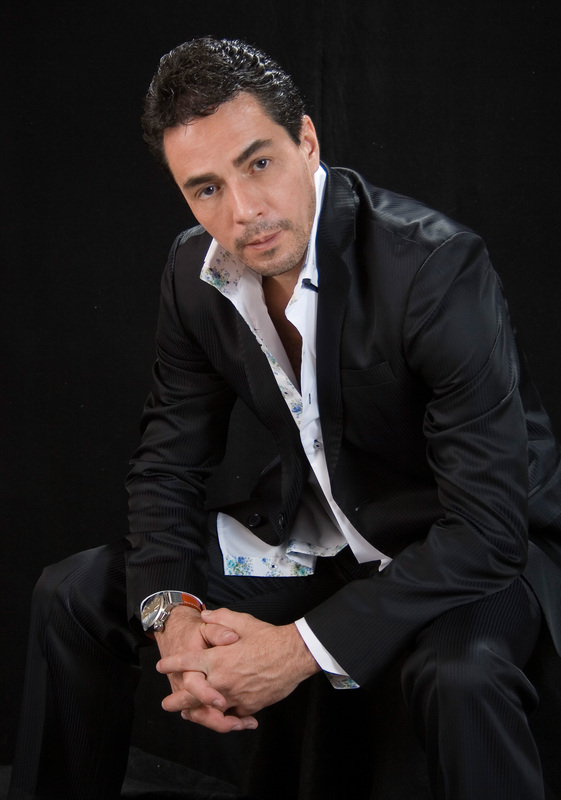 He has 3 Guinness World Records in recognition of his talent and work, it´s also painter and writer. that will increase for ever your heritage. Only 1 bottle per edition worldwide. as a tribute to Dubai. 1,500 high quality diamonds, 1,300 sapphires & 1,300 emeralds. more than 100 years to produce an alcohol content of 41%. Limited edition, only 1 bottle worldwide. Planet, Altamirano foundation, will be make a donation of 500.000 Euros to social causes. * There is a finder’s fee of 10% from the sale price of this jewel, to people who help to find the right customer. as a tribute to M.J., King of the pop music era. Made of 18K black gold, has inlaid with 4,100 high quality diamonds. as a tribute to Lady Diana, in recognition of her arduous social labor to create a better world. Made of 18K white gold, has inlaid with 1,500 high quality diamonds, 1,300 sapphires & 1,300 rubies. to the beloved French King, Henri IV. Made of 18K yellow gold, has inlaid with 4,100 high quality diamonds. Fernando Altamirano create this eclectic design as a tribute to the pop art King. & 1,400 high quality rubies. aged in barrels for more than 60 years to produce an alcohol content of 41%. Planet, Altamirano foundation, will be make a donation of 50.000 Euros to social causes. 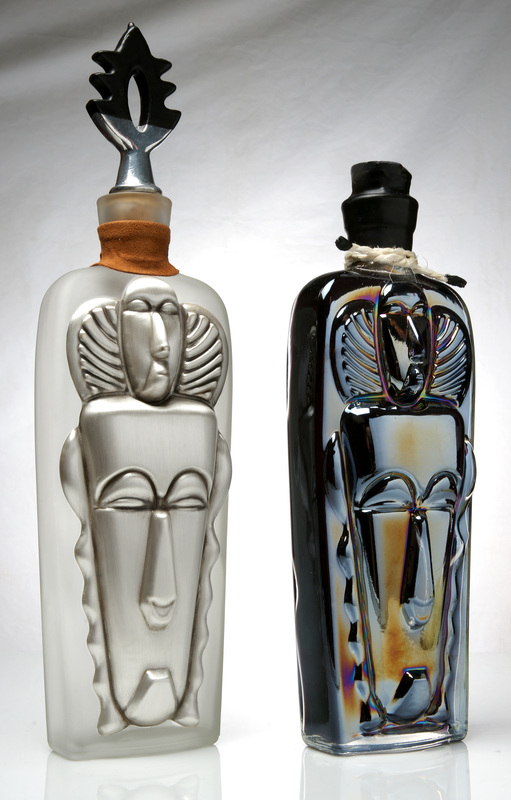 The glass bottle is handmade and covered in Platinum the artwork is based on the late Italian artist Amedeo Clemente Modigliani. This bottled water is a tribute of his work. The water itself is a mix of natural spring water from Fiji and France and also contains actual glacier water from Iceland. 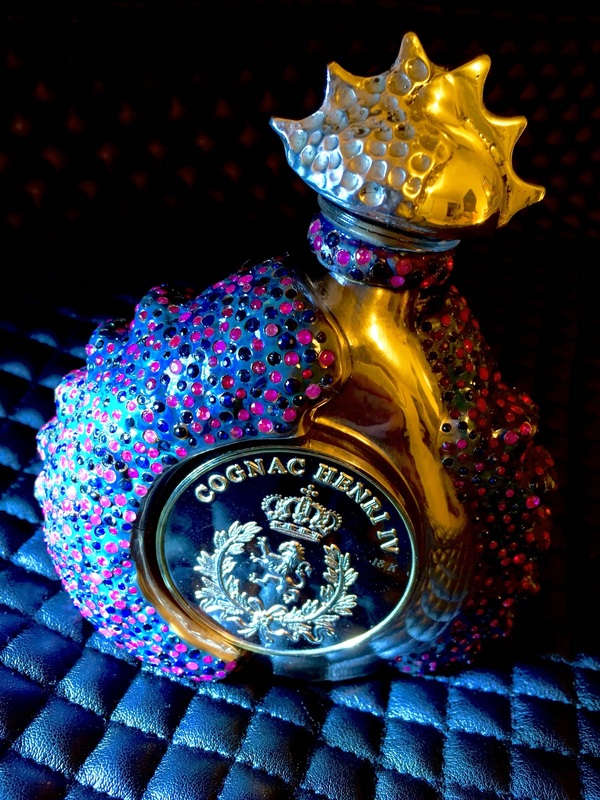 Each bottle also has 5mg of sprinkled 23-karat gold dust. 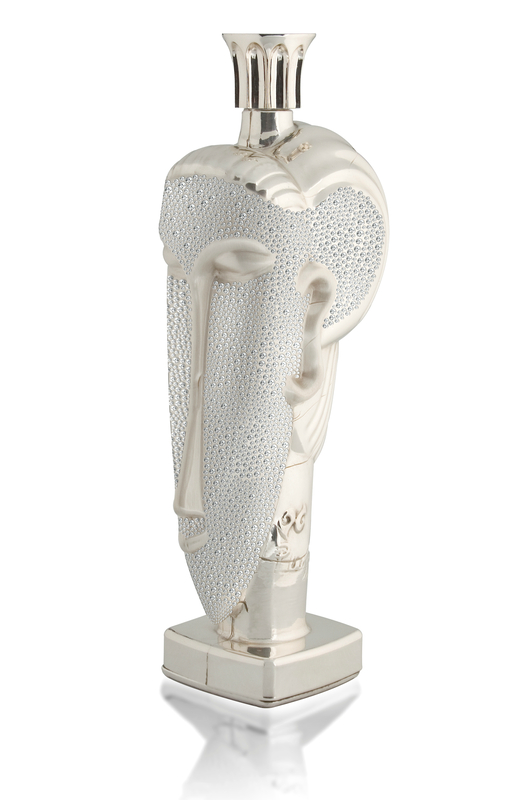 The bottle called “Tributo Modigliani, Acqua di Cristallo” is made of Platinum, 6.000 high quality diamonds. 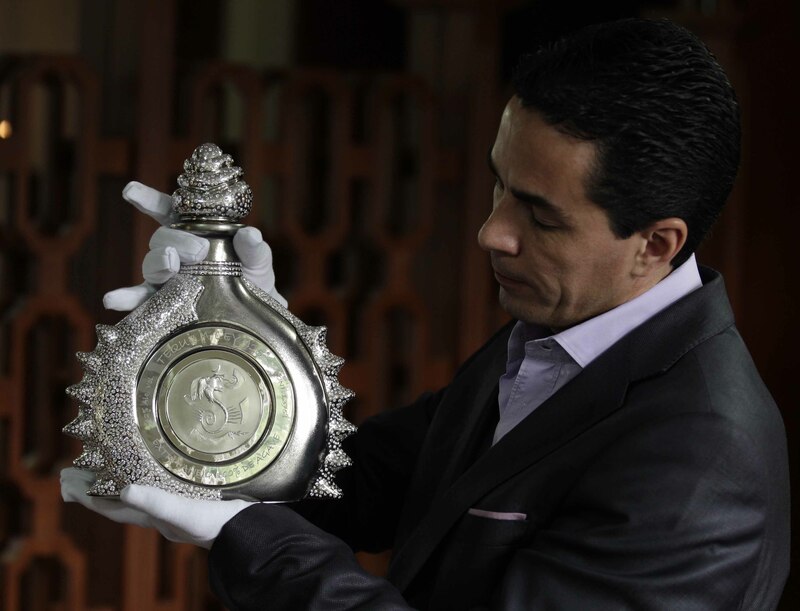 The estimated value of this bottle 4.000.000 €. 1st. and only black Mezcal in the world. Artisanal liquor and handmade bottle. Hand made by Master Don Valente Ángel García, in Santiago Miahuatlán, Oaxaca, México. 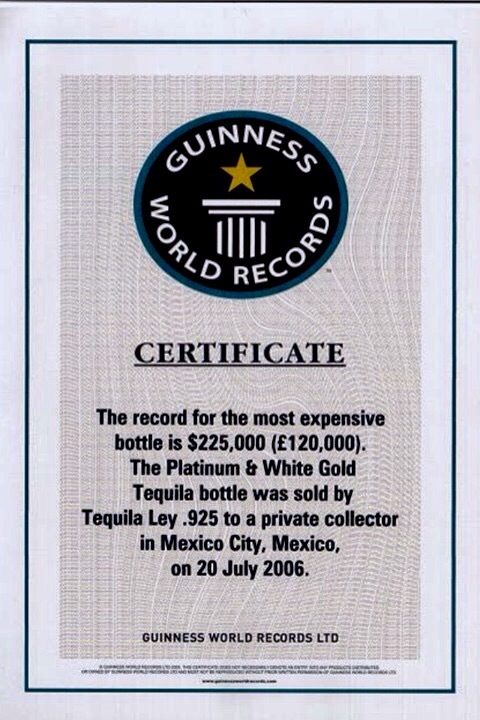 It is a glass bottle and platinum, considered by the Guinness World Record as the finest, expensive and exclusive the world, with a market value of 74.400 USD, was sold to a French citizen, owner of the largest collection of wines and spirits in the world. 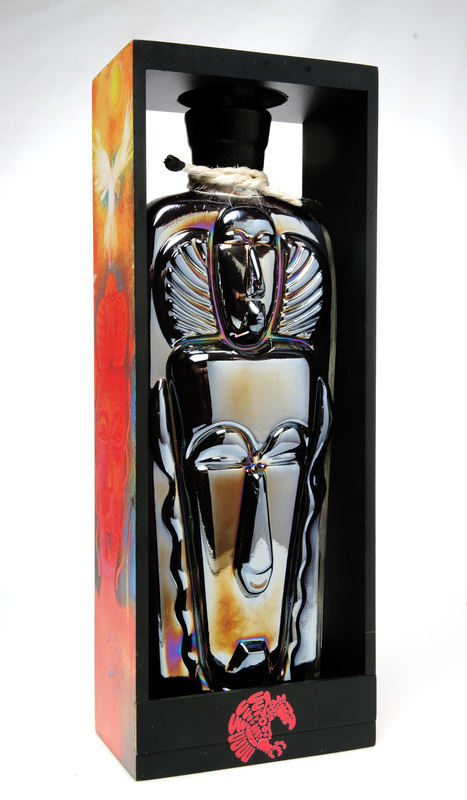 The bottle, It´s a unique piece, a minimalist piece, artistic, said Fernando Altamirano, entrepreneur, owner and creator of the project.